The SD-Severe Duty valve is Copes-Vulcan’s premium severe duty and critical service control valve design. While virtually identical in outward appearance to the Copes-Vulcan legendarily rugged and dependable D-100 valve line which it replaces, the SD-Severe Duty line is the next generation of control valves designed specifically for severe duty applications. 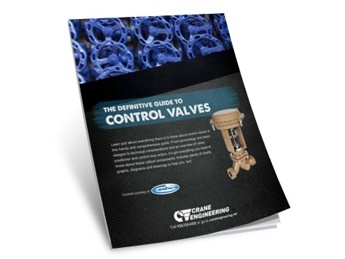 It is the preferred style of valve for applications such as pump recirculation, feedwater control and feedwater start-up, flashing or cavitating service, critical pressure drop gas and steam service, and any potentially noisy or vibration-prone service. It is also widely used for nuclear "N" stamp and seismic applications. SD style control valve assemblies feature a straight through globe and angle style body design with single web internal construction. 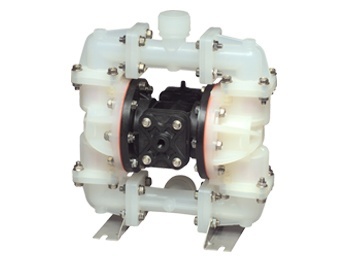 The valve body is designed with high structural integrity, large interior flow passageways and a large capacity bowl to accommodate an extensive variety of trim designs while allowing maximum recovery within the valve. 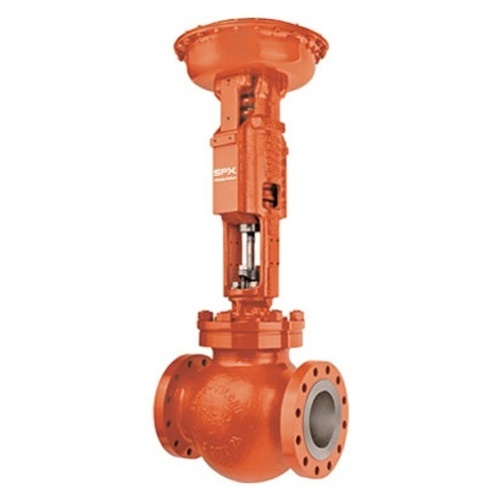 The massive amount of body and bonnet material utilized and the thick cross sectional areas allow the SD valve to withstand the most severe operational conditions. The valve is available in sizes .75–20" (20–500mm) and ASME pressure classes 150 through 4500 standard. Larger sizes are available as required. Typically cast construction, all standard castable materials are available. Depending upon size and pressure class, ends are available as threaded, flanged or welded. SD Series valves can be fitted with an extensive array of standard and high performance trims to meet most severe duty/critical service requirements. Copes-Vulcan specialty trims such as Raven™, Hush™, Soft-Seated Hush, Tandem and GAD™ are readily available to meet the most severe applications. All trims are of quick change design to assure ease of maintenance and most are fully interchangeable between like sizes to ensure maximum flexibility and reduced inventory requirements. 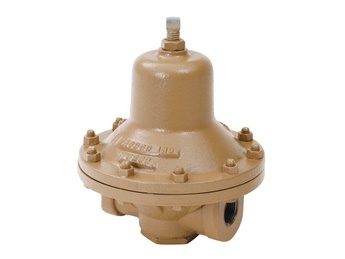 A complete range of extremely rugged 1000 series pneumatic diaphragm actuators will meet practically any severe duty service including both nuclear and seismic requirements.